KFUPM Beach or the King Fahd University of Petroleum and Minerals Beach is a privately-owned area exclusive for the university’s staff and their families. 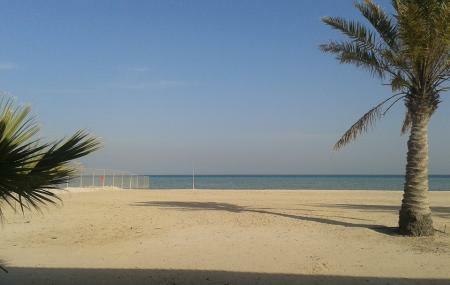 The place provides warm sand, playground, picnic units, barbeque grills and scenic views of the water. The place is very popular among the university’s employees and serves as a great recreational area for them. A beach where you cant swim, nor take any guests. You could have more fun at a scrapyard. A calm sandy beach that has sea rocks and in sunny days this is the kind of place that a family would enjoy an afternoon pick-nick.